Real estate was one of the most severely damaged industries during the recent recession. It became a buyers' market, with desperate owners selling homes far under their value just to get them off their hands. Slowly but surely, the market has been recovering and sales of homes both new and resold are seeing an increase of popularity. So, what exactly is causing the resurgence of sales in the real estate industry? Following the ups and downs in the real estate market is always popular, especially in times of economic crisis. Back in 2008, people were trying to sell their homes to no avail. Even with the bottom-of-the-barrel prices, no one seemed interested in buying. Once-fruitful neighborhoods turned to forlorn communities, with vacant windows staring out onto deserted streets. But just as people tend to pull themselves up by their bootstraps and get back on track, real estate climbed its way back to a more profitable position on the industry ladder. 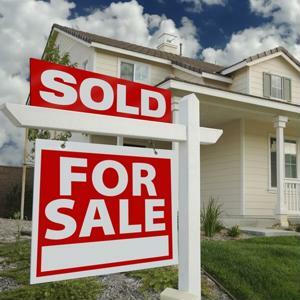 According to IndustryWeek, February 2015 saw new home sales hit a seven-year high. This marks a three-month streak of continual growth for these sales. Analysts didn't think that there would be any spikes in purchasing for February - in fact, it was estimated that there would be a 3.3 percent drop due to the sub-zero temperatures and mountains of snow that piled onto many parts of America. However, the cold didn't keep buyers inside, as single-family home sales saw a 7.8 percent increase from January. Contractors are responding to this demand for housing, but are behind in their efforts because of the weather woes in parts of the country, reported CNBC. The choice of homes, whether new or existing, is slim pickings. With fewer houses on the market, prices are creeping up to the point where prospective buyers are unable to purchase, despite an otherwise perfect real estate climate. Should builders get back on their schedules, this will be to the benefit of many more people who are looking to secure a home. Way back in the day, prospective homebuyers were young professionals and their families. Prices were low, there were jobs aplenty and things seemed peachy. Fast-forward to today: Young professionals are in debt from their college years, there aren't as many jobs as there are candidates and the price of living is on the upswing. Interestingly enough, millennials are the largest segment of buyers in the United States housing market, asserted Business News Network. Millennials are sinking their teeth into homeownership as the rents of their apartments continue to rise, noted the source. Now that more adults in their 20s and 30s are in secure jobs and interest rates on mortgages are lower than they've been in a while, it makes sense for this group of people to invest in their futures rather than paying increasing rent to a landlord. The source mentioned that the cost of leasing a property has been steadily climbing every quarter since 2010. With this trend, it's no surprise that people are turning to owning their own places - it just makes good financial sense. These trends are promising for the material market and sourcing products necessary for home building and refurbishing. It will be fascinating to see which industry in the supply chain will profit as the real estate market continues to grow and evolve in the future.